‘Audio Luxury’ from Vandalism is the first installment of this brand new Construction Kit series. This pack brings you absolutely top-notch tracks created with maximum precision. With this product you will be able to develop your sound and your skills. Supplied in a range of formats and with a professional feature set, this amazing pack is an essential addition to your library. 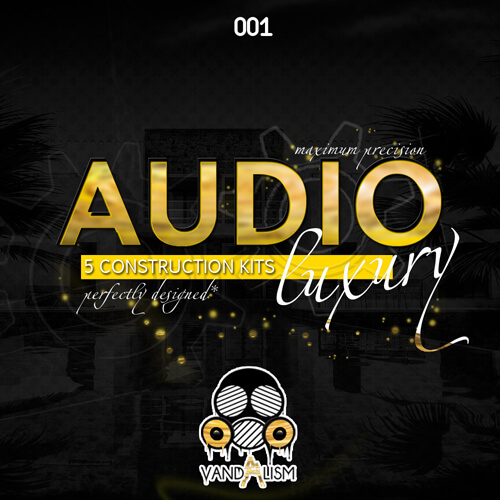 ‘Audio Luxury’ provides you five Construction Kits. This pack includes five different tracks from genres such as Progressive House, Big Room and Future House. There is everything you need here to make your next highly professional track. You will find dry and wet WAV loops. ‘Audio Luxury’ features drum loops, uplifters, downlifters, drums, percussion, vocal loops, cymbals and MIDI loops.